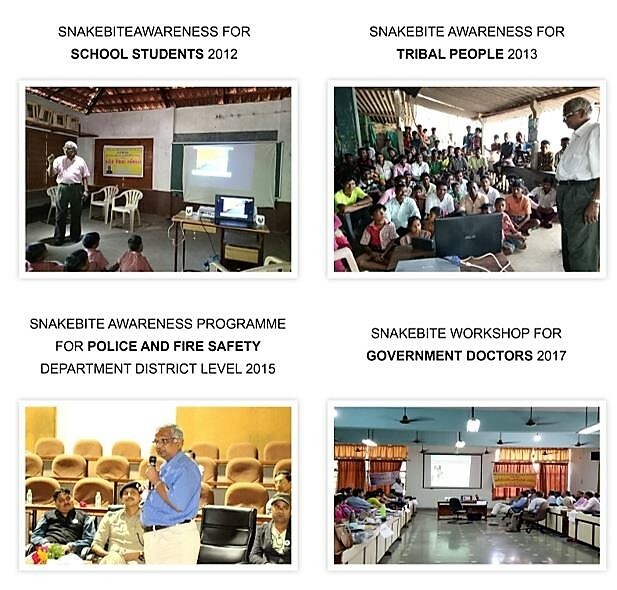 Have successfully treated around 13000 patients of snakebite in last 29 years with almost 99 % of Success Rate which is highest in India and may be in all over world. Done single handedly in my own private hospital. “DHARAMPUR RATNA “ Award in 1990 by Sanskar Seva Trust. “KARMA YOGI “Award in 2004 by Mohan Gandhi Foundation. In 2005 Awarded by Honorable State Governor in presence of Chief Minister Shree Narendrabhai Modi . 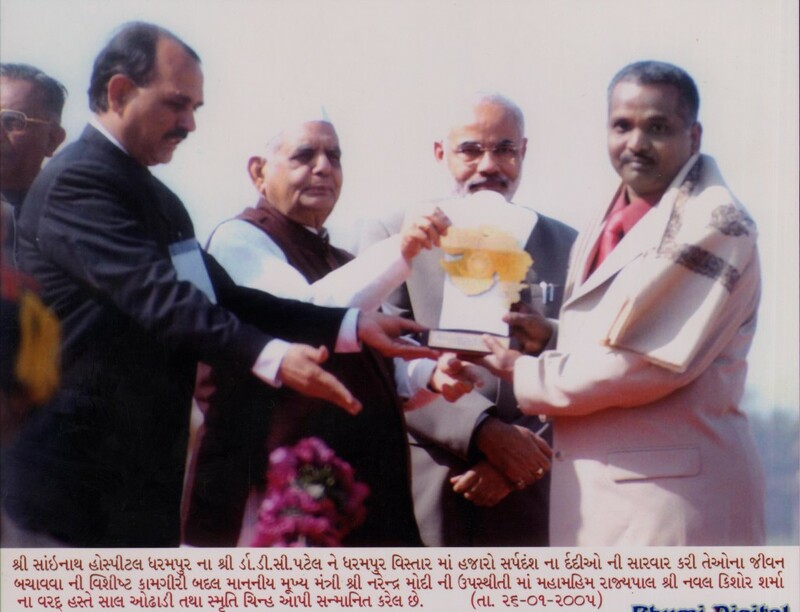 In 2006 Awarded by Honorable State Education and Sports minister Smt.Anandiben Patel. In 2012 Awarded by Indian Medical Association in presence of National IMA president and vice president. 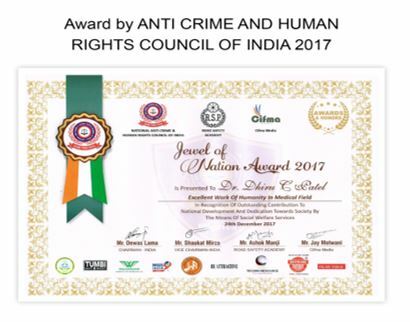 Jewel of Nation award 2017 for excellent work of humanity in medical field by National Anti Crime & Human Rights Council of India. World’s 2nd largest and India’s largest (1.365kg) urinary bladder stone removed in 2017. 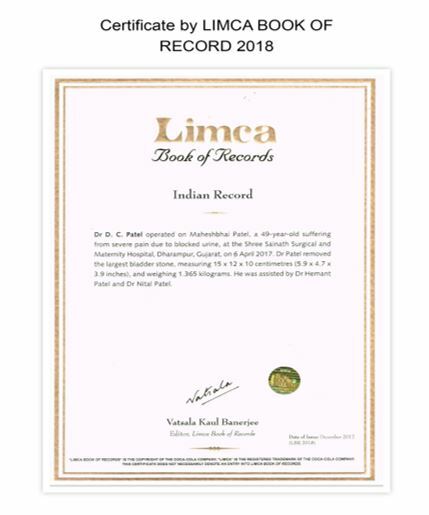 This has been highlighted in Limca Book Of Records. Free Surgical camps are organized for providing surgical services to vulnerable and tribal populations. 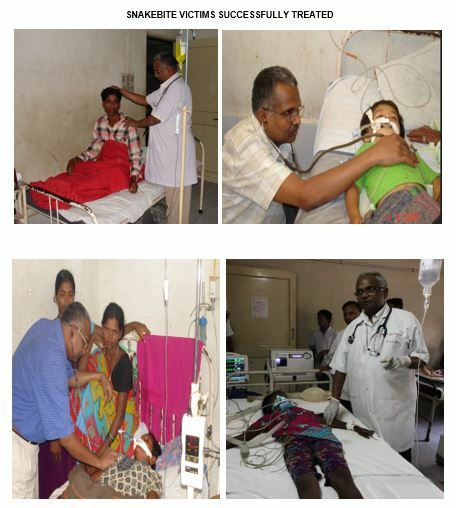 Camps had improved healthcare services to rural populations in tribal area. Given service in relief camp in Plague –surat in 1994,Earth-Quake 2001 at Bhuj , Flood in Sabarkantha district in 2017.